20,000 B.C.E. Hunting peoples settle in the area that would become San Diego CA. 1897 C.E. San Diego’s first golf course opens in City Park (future Balboa Park). Its nine holes (Casino, Buena Vista, Dos Barancos, Escondido, Cuidad, Miramonte, Chiquita, Las Piedras and Canon del Diablo), which have dirt fairways and sand greens, are used by the San Diego Country Club, formed in 1898. 1908 After sunset, coyotes leave tracks on the sandy tracks left by 110 men and 86 women (club membership has reached 196). 1913 Building plans for the 1915 Panama-California Exposition necessitate demise of golf on the mesa. 1915 On Jan 1, opening day of the Panama-California Exposition, the public sees that Spanish Colonial architecture has replaced golf course architecture. 1916 Animals from Exposition exhibitions are the first residents of the newly founded San Diego Zoo. 1968 Renovation of Exposition structures begins. 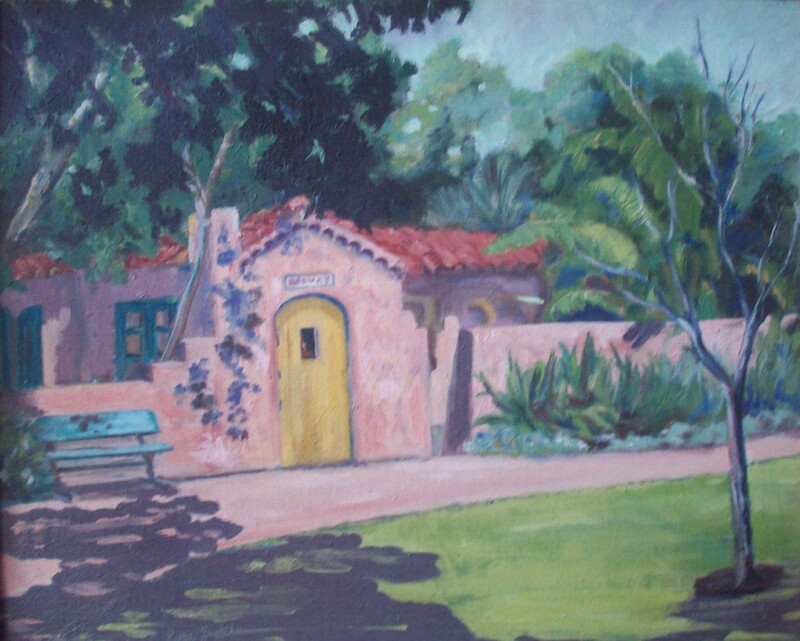 1991 House of Hospitality and House of Norway sit for Lottie Elizabeth Thatcher (1913-2006), Balboa Park lover, Spanish Village painter and sculptor, and the Golf Widow’s beloved maternal grandmother. 2007 The Old Man scouts locations on the Prado for No Loitering/No Vagancia (see The Green Room). 2013 Crowds at a ticket booth being hugged by giant pandas are unaware that they are standing where the Buena Vista fairway was. 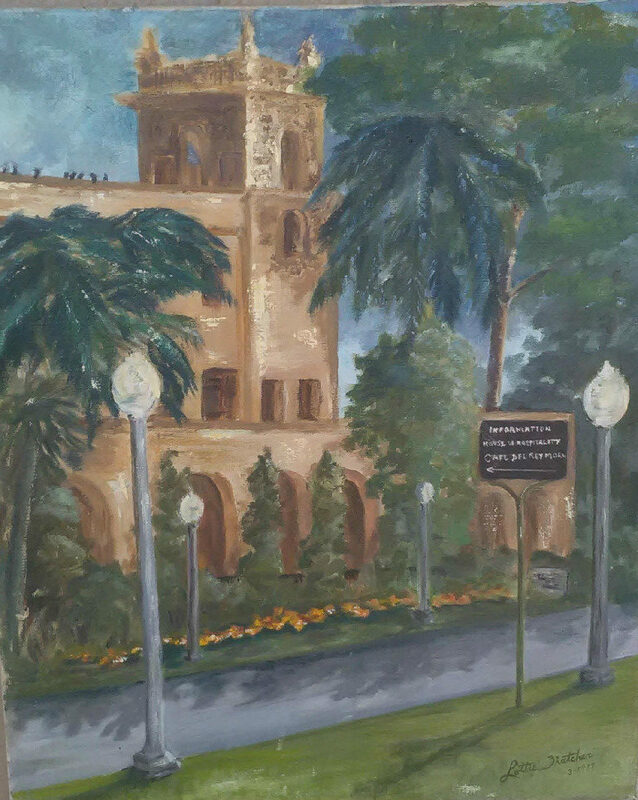 2017 Golf First, a group of preservationists, submits an historical resource research report to the City of San Diego Development Services Department. 2027 Tipsy followers of Golf First enter San Diego Zoo by stealth to perform a nocturnal remembrance ceremony dedicated to Casino. Gorillas object vigorously. 2028 Arrows whiz suspiciously close to a Golf Firster photographing the former site of Dos Barancos who refused to recognize the existence of the archery range. 2030 Golf Firsters disrupt a performance of Shakespeare at the Old Globe Theatre by staging an inadequately rehearsed “sword” fight. (Their “swords” are golf clubs.) The show used to be about making par (3) on Dos Barancos! 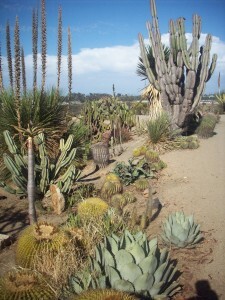 2032 Cars are banned from Balboa Park. Attendance plummets, leading to exodus of the tourism industry and concomitant brick-and-mortar decay. 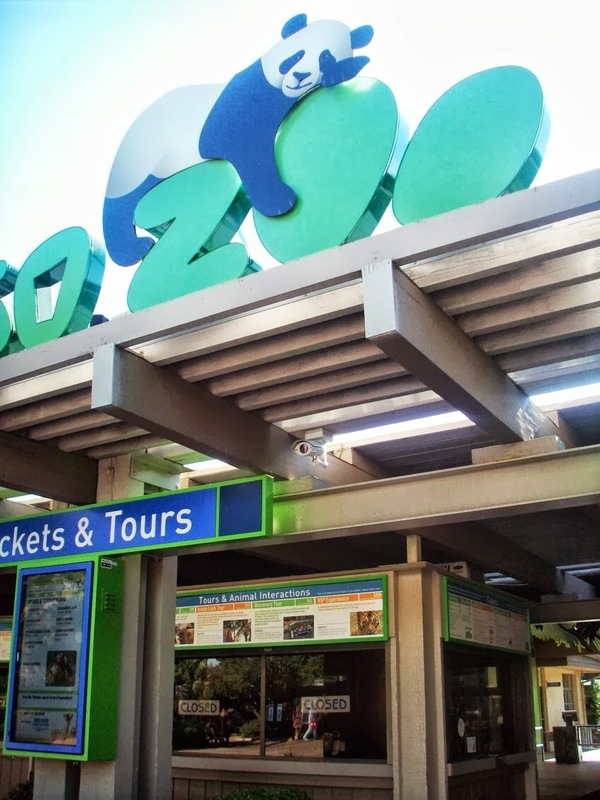 2035 Pulling up stakes, San Diego Zoo merges with Las Vegas Zoo. 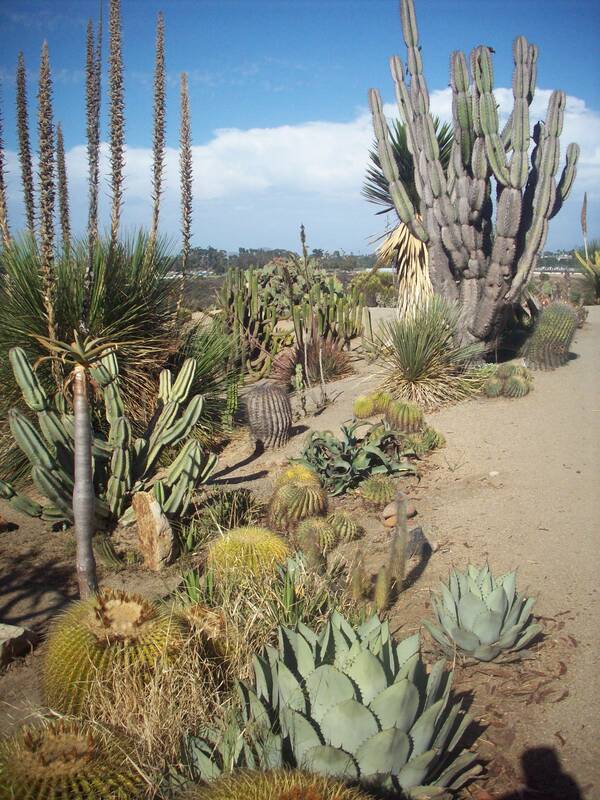 2050 Balboa Park’s last institution of homo sapiens, the Botanical Garden Foundation, vacates the premises. 2051 Golf First dusts off its historical resource research report. 2052 Wildfires on the eastern foothills spread in every direction during the inaugural round on the resurrected course.